that we extend to others. CHALLENGE: As leaders, how prepared are we to learn from outliers? I am not simply talking about those who “think outside the box”. I am referring to those who are not, and never will be, in the box at all. Beyond the fringe as we happily define it. And what if we discover that there is no box at all? Speaking oxymoronically, would chaos then be “normative”? Whoa! That would upset every sense of normal, challenge all our rationalizations, and question the time-honored assumptions about what is acceptable and what is not. Yes, reality is complex at heart and random as the wind. And if we believe that leadership is an invitation to greatness that we extend to others, then do we have the Mind Strength to lead? CONTEXT: my insights are drawn from the analysis of true outliers as presented in the book The Dyslexic Advantage: Unlocking the Hidden Potential of the Dyslexic Brain, by B.L Eide and F.F.Eide [first published in 2011 and reprinted as a paperback in 2012]. The book is challenging and not easy to read, but the ideas are insightful, especially to help frame our thinking about the ‘mind strength to lead’. From a systemic point of view, dyslexics are outliers – in school and in society. When I was growing up, my dyslexic brother was considered dumb because he could not read like the rest of us kids. Today, it would be politically incorrect to call anyone dumb. Disadvantaged, maybe, but not dumb or stupid or a numbskull. I am unsure if we live in more enlightened times, or if we have simply developed less harsh language to dump people into categories that differ from our sense of normal. Dyslexics are built to work differently – well, everyone is built to work differently, whether they are dyslexic or not. In extending an invitation to greatness to others, who are those others? How are they built? What does greatness mean to them? Dyslexics are heroes on a perilous but promising quest – well, greatness is not a category or even a destination; it is a journey, a perilous quest, a challenge – both for the leader who invites and for the follower who is invited. Do we as leaders and those whom we lead have the strength to take up such a quest? Do we as leaders even have the right to extend such an invitation? Is it an invitation to failure or to success? No one is ever cured of dyslexia – well, no one is ever assured of greatness. The journey is fraught with the potential for success and for failure. Like Odysseus, how can we navigate between the Scylla and Charybdis of our own unmaking as we extend an invitation to greatness to others? He had a ship; we don’t. One of the most fascinating outcomes of the research conducted by the Drs. 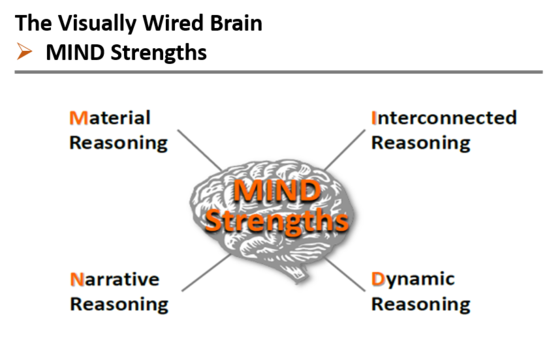 Eide is their MIND Strength Model. Dyslexics are built to work differently, and by extension so are we all. To me, MIND Strength is a leadership model identifying the strengths of those extending the invitation to greatness and those who accept the challenge. 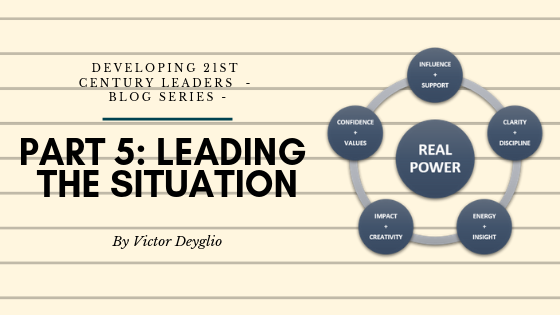 Leaders embrace the different ways people “see the world”, that is, the strengths and capabilities, skills-knowledge-aptitudes [SKAs] that people bring to any situation. In turn, leaders derive strength from the strength of others. The journey to greatness is a dialogue between inviter and invited, leader and led. 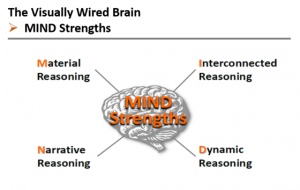 M-Strengths = Material Reasoning: abilities that help us reason about the physical and material world, such as shape, size, motion, position, orientation, interaction. Engineer, Surgeon, Mechanic. I-Strengths = Interconnected Reasoning: abilities to spot connections between different objects, concepts, points of view, as well as to see how things like objects, ideas, events or experiences related to each other. Chef, Actor, Musician. N-Strengths = Narrative Reasoning: abilities to construct a connected series of mental scenes from fragments of past experiences that can be used to recall the past, explain the present, simulate scenarios, and test important concepts. Public Relations, Sales, Poet. D-Strengths = Dynamic Reasoning: abilities to predict accurately past and future using episodic simulation, as well as to make practical or best fit predictions or working hypotheses in setting where precise answers are not possible. Entrepreneur, Logistician, Farmer. 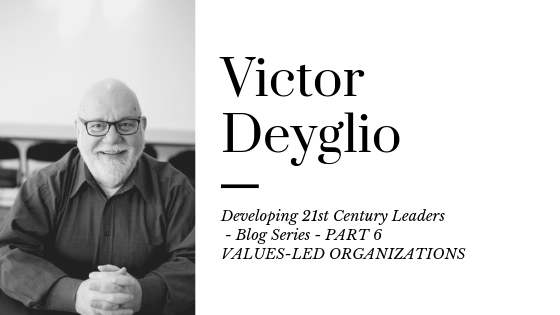 people who can take risks and predict opportunities for growth despite the lack of detailed assurances [D-Strengths] – the CEO with an entrepreneurial spirit. Take up the personal leadership challenge: explore your values that drive your decisions in the complex situations you face as a leader guided by the Values and Leadership self-directed, online module. Engage in a group leadership challenge by interacting and collaborating with others, guided by the Team Dynamics facilitated, online module. Immerse yourself in complex situations that demand different leadership approaches through the 6-day, in-residence P.Log Leadership Program. You are not in control. You do not choose your team. You are among strangers. You face diverse opinions, different personalities, conflicting agendas, varied experiences. Expect the unexpected – that’s what people are all about. 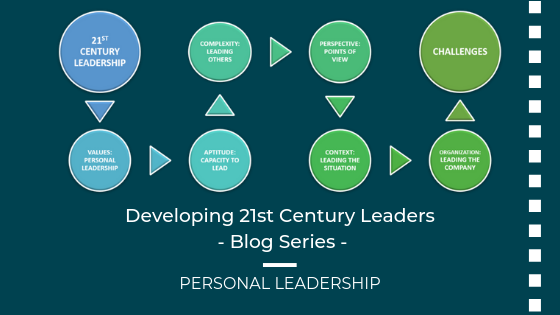 Either you lead or you follow – that is how you test how to handle the complexity of leading others.